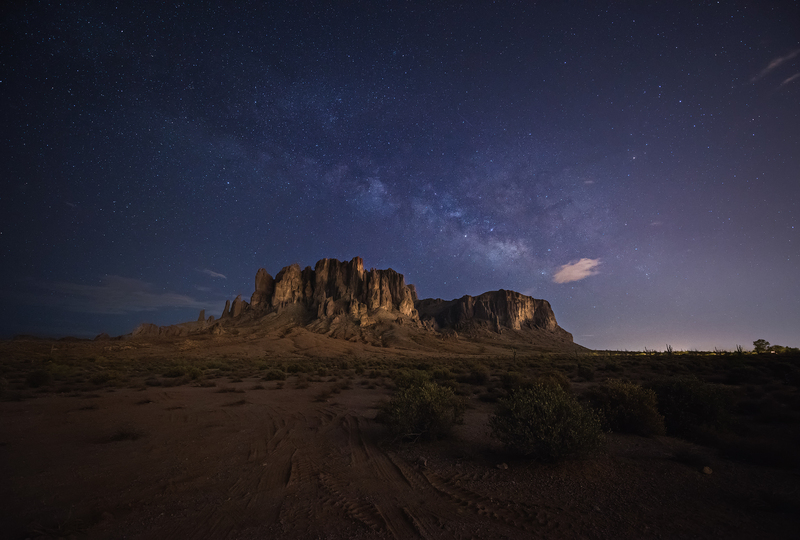 Silence gathered in the deep abyss of the Superstition mountain in Mesa – Arizona, as the last of the sun light began to fade away. The last of the sound waves echoed far and wide signaling the gods to open the doors of heaven. And they did. I happened to be there! Milky way hid behind the rock, as the night started to get darker and quieter. Civilization seem to be wakeful with all kinds of light in the far horizon. They looked like fireworks. I moved closer to the mountains to immerse myself in the silence of nature. Close but far enough! Few hours into the night, milky-way emerged in colors more bright and brilliant with luminous stars against the blue velvet. The graceful arch of the milky way as glorious as you’d imagine. The mountains were suddenly lit by the eternal spark as resplendent as the Divine Radiance!